Kent Business School’s Lecturer in Careers and Employability has been awarded the Barbara Morris Prize for Learning Support. 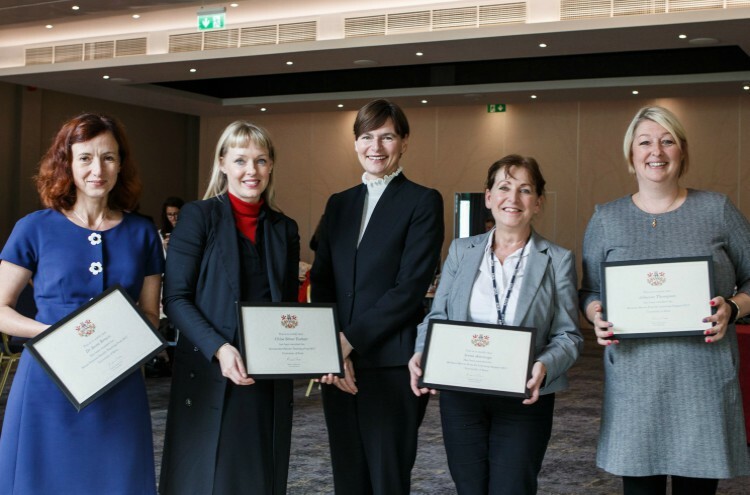 The prize was awarded in recognition of Irena’s work which has ensured that Kent Business School is at the forefront of embedding employability into the undergraduate curriculum on a large scale. Working alongside other Kent Business School academics, Irena integrated three dedicated employability sessions into two compulsory first-year modules (Employability and Study Skills for Success – Medway CB373 and Business Skills & Employability – Canterbury CB311). As part of the assessments for these modules, students are required to write a self-reflective business report, as well as complete an online Moodle award. The award is tailored to students of Kent Business School and guides them through the job hunting process. The modules conclude with students submitting an up-to-date graduate-level CV. These are then assessed and students receive feedback from careers professionals, to ensure these are fit-for-purpose. This process prepares them for stage two when employers recruit for internships and Year in Industry placements. Congratulations to Irena from all at Kent Business School. View Irena’s staff profile.